The future of healthcare lies in the continued progress and acceleration of adopting translational science. The two principal constructs, translational research and translational effectiveness, collectively strive towards patient-centered, effectiveness-focused and evidence-based care. Translational research is the application of scientific methods into healthcare decision-making and practice. Through these applications and methods used on the patient, translational research obtains new information that directly benefits that patient in return. This bench-to-bedside approach is specifically designed to improve health outcomes and standards of practice in healthcare to better serve the patients. It is through the utilization, dissemination, and implementation of the best evidence-based practices that will help in the understanding of intervention effectiveness. The chapters in this book highlight the transfer of basic science discovered and cutting-edge developments into clinical applications. Emphasis on continuing research, increasing transparency and accelerating the adoption of translational science into clinical practice is needed to provide the best possible care. The chapters focus on the future direction of all fields of healthcare which lies on the bench-to-bedside approach – from medicine to dentistry to nursing. 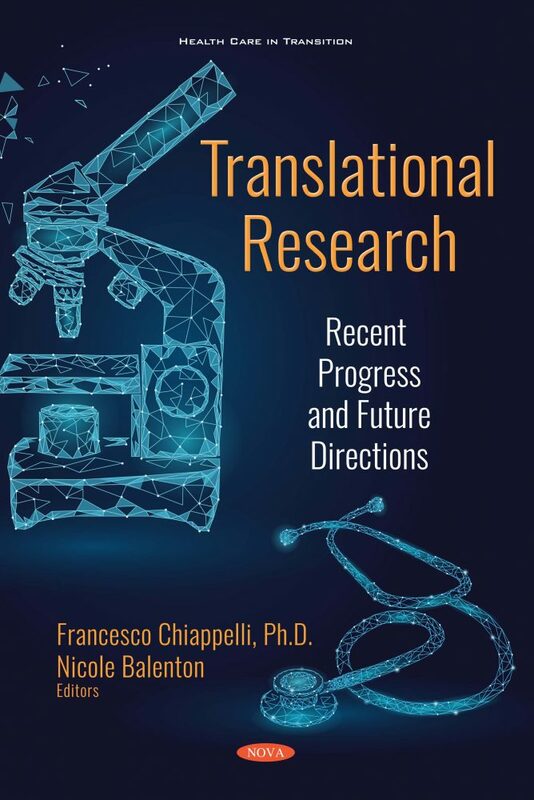 Translational research is at the forefront of efforts to improve patient care and is the engine of change for bringing new decision-making, practice, and technology into the field of healthcare in this new age. Chapter 9. What is Lynch Syndrome? Allen M. Khakshooy, MPH, MD Candidate, Technion – Israel Institute of Technology, Haifa, Israel. To read the review, click here.